The Pregnancy Podcast is a podcast all about navigating the crazy awesomeness that is pregnancy, birth, and being a new parent! Vanessa Merten provides info that goes way beyond the typical “pregnancy instruction manual” by sharing perspectives from first-time moms, experienced moms, midwives, doulas, the latest research, and even a physician here and there – all so you decide what the best option is for YOU and feel confident about​ your decisions during your pregnancy and beyond. 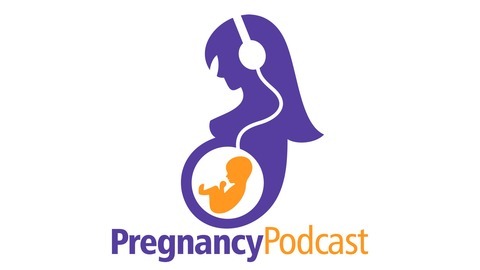 The Pregnancy Podcast covers everything from pregnancy, prenatal care, labor, natural birth, breast feeding, newborns, and being a new parent. 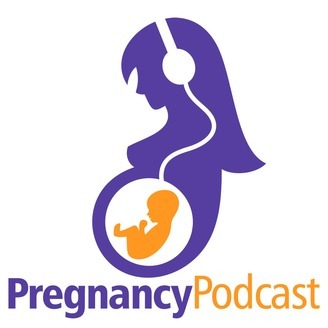 The Pregnancy Podcast is ​a resource to help you make informed decisions about your pregnancy and your baby. Rest assured, you’ll find the real solutions that are in line with your family and your lifestyle. Postpartum hemorrhage is the number one cause of maternal mortality worldwide. The rate of postpartum hemorrhage is between 1-5% of pregnancies, and is most common in the first 24 hours following birth. This episode dives into the risk factors and causes of postpartum hemorrhage, how it is diagnosed and treated, and the warning signs you should look out for. Find out what to expect about bleeding, technically called lochia, in the weeks after our baby born and what you should know about your menstrual cycle and period returning after birth. Thank you to Mommy Steps for their support of this episode. Mommy Steps makes insoles specifically for pregnancy. They have insoles for athletic shoes and ones for flats or boots. You can even heat them in your oven and mold them to your own foot to make you more comfortable and to prevent foot issues during pregnancy. Mommy Steps is offering an exclusive discount for listeners of the Pregnancy Podcast. Go to http://pregnancypodcast.com/feet/ and enter the promo code FEET to save 20% off.